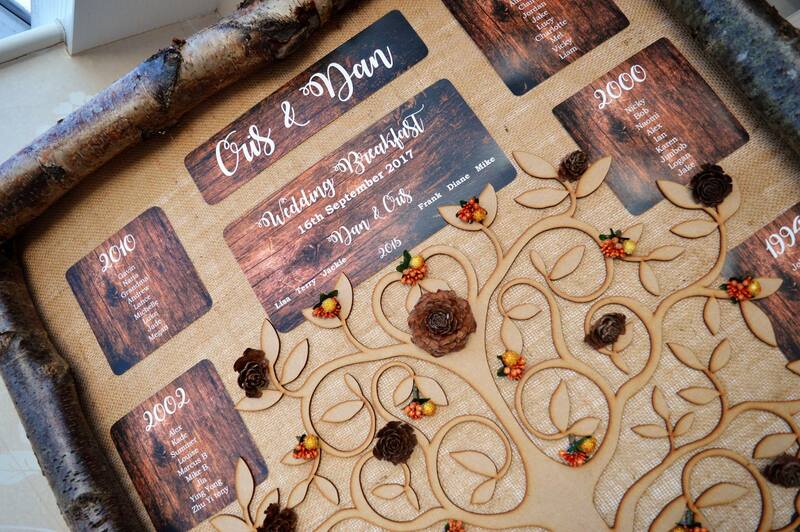 Organising your wedding breakfast tables might seem a daunting task. ♥ Framed table plans ♥ Victorian framed table plans ♥ Unframed table plans ♥ Crystal tree table plans ♥ or would you prefer something a little different? 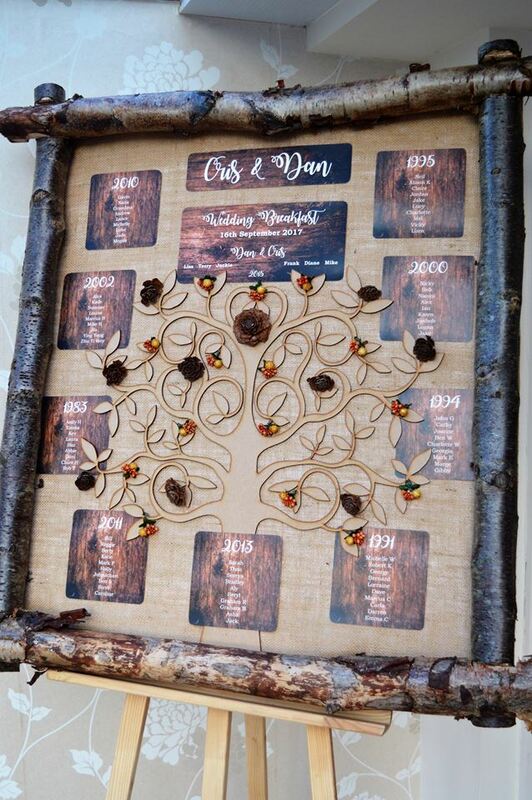 Each of our table plan creations can be designed around your colour scheme or theme. We’ve many examples to show you in our display at the beautiful boutique store, Weddings by Alexander and Co too. Please pop along and have a peek. If you’d like some help with your wedding table plan or you’d like to discuss your ideas, please contact us to make an appointment and we’ll set aside some time, especially for you. Just wanted to say a massive thank you for all our wedding stationery, I loved it all. Our seating plan looked lovely on the crystal tree. Thanks again so much will definitely recommend you. Thank you for the fab job you did on our table plan table numbers & place cards, they were amazing. Melv & I would just like to send a massive thank you to you for making our wedding stationery & table decor look so fantastic. We wanted a vintage Alice in Wonderland theme & the brief was delivered exactly how we imagined. From the table plan to the order of service & the logos used, to the napkins & colour palette, everything was perfect. We loved our meetings too & nothing was too much trouble for you. Thanks again. We would highly recommend you to anyone. Thank you so much for the brilliant job you did on our seating plan it was beautiful.